To meet the challenges of deep mining, we employ a highly skilled workforce and use leading edge technology. With a constant focus on achieving zero harm, we are committed first and foremost to safety, the development of our people, and the sustainability of our community and environment. 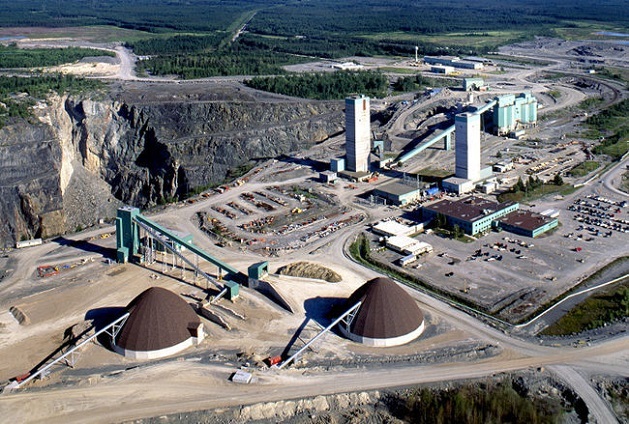 Located in Timmins, Ontario, Kidd Operations include the Kidd Mine and Kidd Concentrator. • This year, Kidd Mine will produce an average of 40,000 tonnes of copper and 70,000 of zinc. • Kidd Mine is the world’s deepest base-metal mine below sea level reaching 9600 feet. The mine also has the longest surface-to-bottom ramp in the world. • We transport our ore by rail to our Kidd Concentrator/Mill located 27km from the mine. • We are the largest private-sector employer in the City of Timmins with a workforce of approximately 1,200 including full-time employees and contractors.